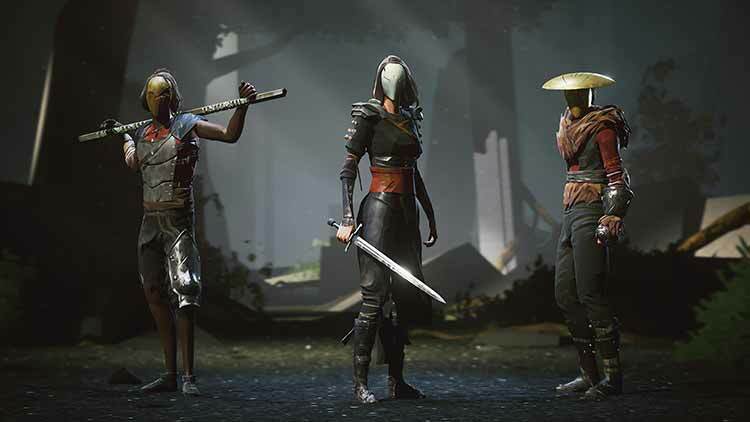 Absolver puts players behind the mask of a Prospect, who has taken a sacred vow and chosen to join the Absolvers, an elite corps of combatants fighting to maintain stability in the world. 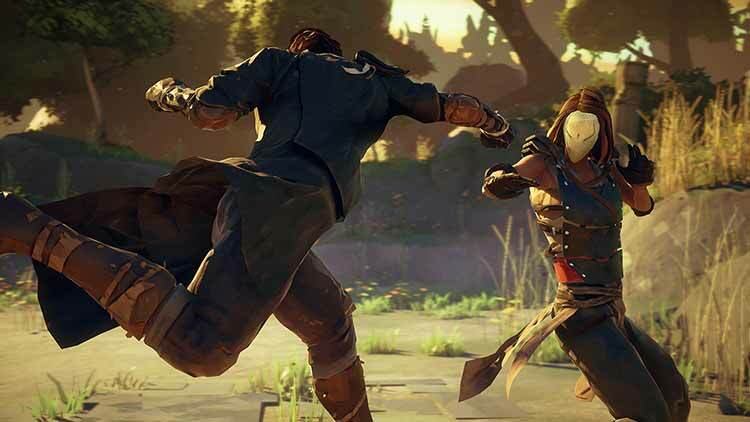 Monitored by the Guides, the new rulers of the fallen Adal Empire, players will wander these forsaken lands and encounter other Prospects online in order to learn their place in this world and eventually become Absolvers. Whatever gets added in the future, though, I hope that Absolver doesn’t lose its sense of focus. If the game had tried too much — if it had thrown me into more complicated duels, or forced me to use weapons more often — I don’t think I would have found it nearly as appealing. Instead, Absolver recognizes its singular goal of building a robust, satisfying martial arts combat system. It leans into those strengths, and it’s a better game for it. 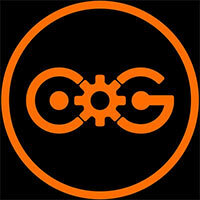 After the combat, the multiplayer and the story are the next big thing in the game. You can play offline and not encounter anyone, just going through the story of Absolver to fin d your place in the world. Or set it to online and see what happens. You can also change it to invite only so it’s just you and your friends playing. For me it was a mixed bag. Absolver’s fighting system and weird blend of ideas make it a genre-defying gut punch of innovation. You’ll be in amazement with how much you can customize the fluid combat, but its complexity and intentional design to be constantly altered might be off-putting for some. The same goes for those looking for more to do besides competitive play in an open world begging to be absolved of limited scope and content. The visuals are stunning, the ambiance a perfect fit for a world of martial arts, and the incredibly deep fighting system is fun to experiment with, making the game accessible for both seasoned veterans and button-mashing newcomers to fighting games, with unique features that allow any of those players to hone their craft. Overall, it’s one of the year’s most unique and enjoyable fighting games, and one worth checking out. Absolver introduces a rich and personal combat system in a beautiful world that has yet to reach its potential. Absolver is an amazing game buried underneath a ton of server issues and bugs. A great customizable fighting system and a cooperative spirit fill the empty spaces in a bleak open world. The art style is a big stand out for me. The smooth textures mixed with the almost muted color scheme really give off an almost claymation feel that looks great and really kick up the atmosphere a good amount. The combat is beautifully choreographed and well thought out. It's really fulfilling, but the game does little to help you figure out how to perfect certain moves. Imagine all the classic martial arts films from the 70s, 80s and 90s, where Jackie Chan and Jet Lee starred. Drunken Master, Shaolin Temple, and so on. Imagine playing a game like that. Imagine a character teaching the player a technique he could actively master and then save his village and then the province from the evil big boss… it would be awesome. I would grab that and every one thereafter. Absolver feels like a (difficult, sometimes frustrating) step into a larger world, and if you can hang with it, it'll leave you hungry for more. 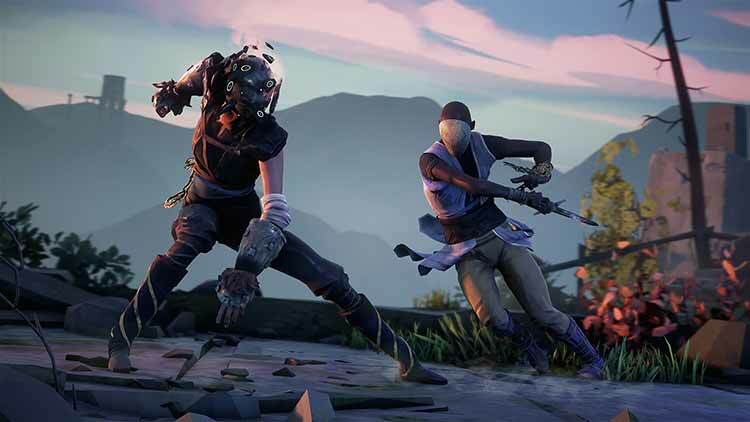 Absolver comes extremely close to being an amazing game with its deep 1v1 melee combat and unpredictable player encounters, but where it falters is in, well, nearly everything else. The world feels lifeless. When more than one fighter joins a battle, battling becomes frustrating and clunky. There's a lot of potential with Absolver. But unfortunately, it's not 100 percent of the way there yet. Absolver isn’t for everyone. Fighting game fans will likely get loads of mileage out of building their own Combat Decks. But until Sloclap releases new content, the only endgame here is in PvP duels, which some players may find off putting. 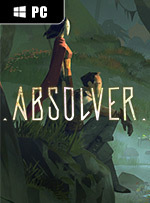 For anyone with even a slight interest in kung fu or martial arts movies, give Absolver a shot. It just might hook you. Absolver has a few problems, then, yet they're not impactful enough to take away from its unique strengths. There's a significant challenge involved in learning Absolver's combat intricacies, but it's the kind of struggle that rarely frustrates. Defeat is part and parcel of the experience, but your demise always teaches you something new that you can take with you into the next battle--and Absolver's deep, nuanced combat always finds ways of enticing you back for one more fight. I’ve really been enjoying my time with Absolver. By no means am I great at it. Even with the bugs and issues I’ve faced, I haven’t played anything quite like it. Recent patches have fixed some of the network issues that I’ve mentioned and the developers are committed to bringing more content to the game. For anyone looking for a game that they can devote time to and be rewarded with a unique player vs. player experience, you cannot go wrong. 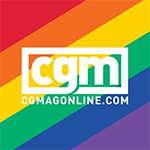 Hay asperezas que conviene limar, nuevas opciones que debe incorporar a su acción, pero esto es algo en lo que el equipo de desarrollo trabaja, con la promesa de ampliar la experiencia de juego, de forma gratuita, en los próximos meses. Absolver es un juego de lucha único, que propone tocar palos muy diferentes a los habituales en el género. Su propuesta es profunda, pero por distintos motivos a los habituales, y esto puede ser un problema para algunos usuarios. Otros jugadores, sin embargo, verán en el simplismo de su sistema de combate la puerta de entrada perfecta a un género que no suele ser demasiado agradecido con los novatos. 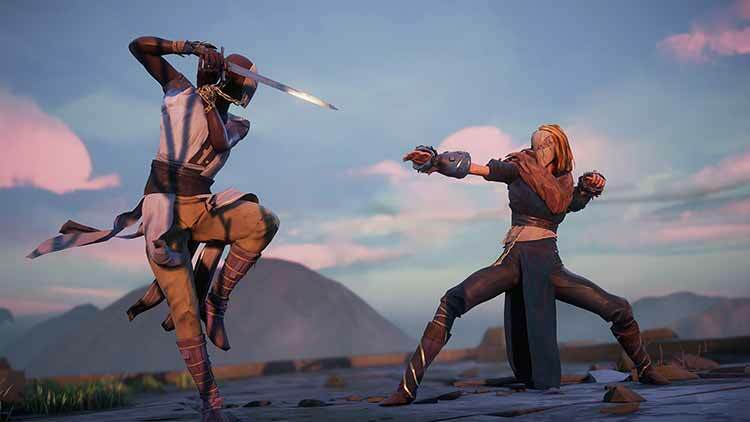 Absolver es un videojuego de rol, acción y combates muy interesante si eres aficionado a la lucha y 29,99 euros. Su sistema de movimientos para el avatar a la hora de aprender y configurar libremente nuestros ataques es innovador y atractivo. Se domina a los pocos minutos y puede ser tan complejo como horas tengas para invertir. No es un juego perfecto, faltan algunas cosas por pulir como el emparejamiento del modo online 1 vs 1 o el modo campaña de un jugador, que se hace un poco corto y no tiene tanto interés como puede parecer en un primer momento. Pero a pesar de ello es un título disfrutable y que da un giro diferente al género. Interessanter, aber sehr kurzer und technisch durchwachsener Martial-Arts-Trip hinter Masken. Absolver bietet aktuell noch zu wenig Langzeitmotivation, zeigt mit seinem Kampfsystem und der spannenden Multiplayer-Dynamik aber Potenzial. Voilà une bonne surprise pour cette rentrée. Absolver apporte un vent de fraicheur sur le jeu de combat avec de vraies innovations sur son système de combos plein de stratégies et ses techniques à collectionner, à mériter même, dans la plus pure tradition des arts martiaux. Agréable à jouer, profond et plein de promesses pour l’avenir, le titre de Sloclap se démarque aussi par une dimension multijoueur qui a du sens, dans ses aspects compétitifs comme collaboratifs. N’y allons pas par quatre chemins : dans son fondement Absolver est un jeu de combat plutôt complexe et intelligemment pensé. C’est dans sa forme que le titre de Sloclap se démarque en écartant les préconceptions du genre qui le rendent hermétique à tant de joueurs. 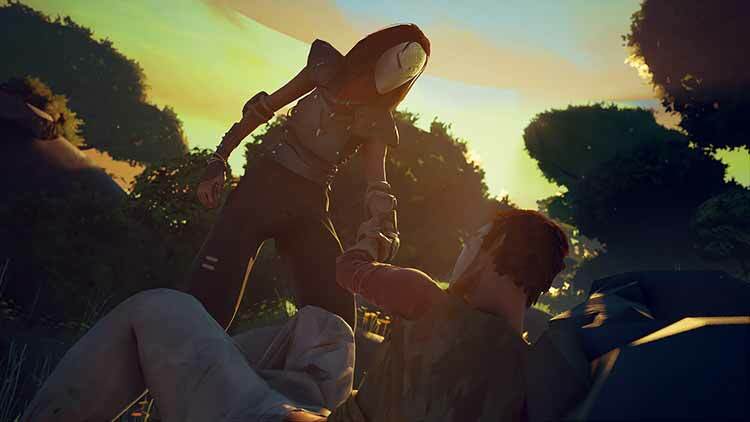 En l'état, le jeu de Soclap s'adresse à un public assez spécifique, donc potentiellement restreint, mais il ne fait nul doute que celui-ci saura apprécier le parcours qui mène d'Aspirant à Absolver. Se cercate un fighting game diverso dal solito, capace di coniugare un'apparente immediatezza con una profondità e una totale libertà per il proprio stile di combattimento, Absolver fa proprio al caso vostro. Le sfide in 1 vs 1, che siano contro un NPC guidato dal computer o, meglio ancora, dei duelli contro un avversario in carne ed ossa, non si discutono, perché la loro eccelsa qualità e raffinatezza emerge da ogni singola mossa, dalle tecniche d'attacco, dalle finte e dalle parate. Come scritto a inizio recensione, Absolver offre un approccio alle arti marziali virtuali davvero unico, non facilissimo da digerire se non si entra nel suo spirito, ma appagante come pochi altri sulla lunga distanza. Видно, что разработчики уделили все свое внимание механике игры — она необычна, дает уникальный опыт, в ней интересно копаться и экспериментировать. Это игра для тех, кому достаточно самой цели — стать лучшим в рукопашных схватках. Поэтому все остальное уходит на задний план, создается впечатление незавершенности.